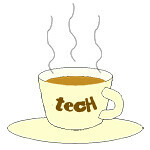 startup « Tech bytes for tea? 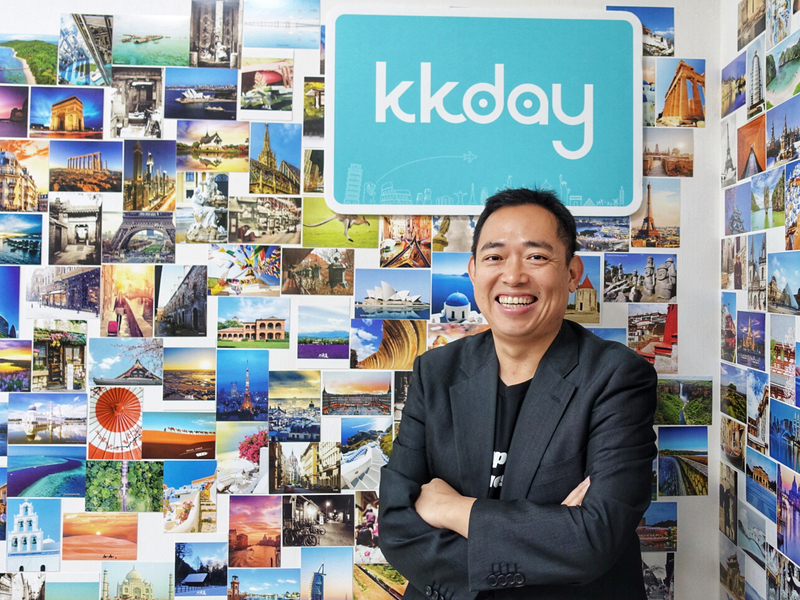 KKday, Asia’s largest online travel-experience ecommerce platform, has raised US$10.5 million in additional funding led by Japanese travel industry leader H.I.S. with participation from existing investor MindWorks Ventures. * This story first appeared on The Travel Memoir. Research by Phocuswright projects that the travel tours and activities industry will reach US$183B by 2020 from US$135B in 2016. Photo: Ming Chen, KKday CEO. 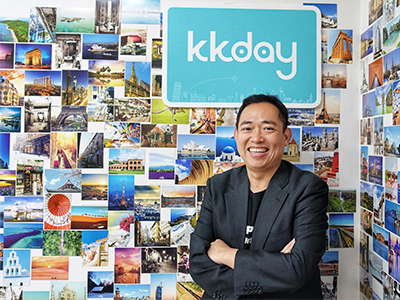 The alliance and funding is expected to help KKday expand its regional presence and further improve its variety of affordable product offerings to travelers. “H.I.S. is not just a financial investor, but is valued as a strategic investor. By utilising H.I.S.’s global resources and integrating it with KKday’s strong marketing and big data programs, we will be able to change the in-destination travel operations model. KKday will be focusing on improving the customer experience and strengthening our relationship with our suppliers. These two strategies are highly related. You can’t improve customer experience without having an amicable relationship with the supplier,” says Ming Chen, KKday CEO. KKday curates more than 10,000 travel-related experiences from more than 500 cities and 80 countries with over 4 million unique visitors and serves a few hundred thousand travellers each month. The company applies big data analytics to drive business decisions and to refine current offerings to optimise customer experience. Headquartered in Tokyo, H.I.S. has offices located in over 130 cities around the world. As the in-destination travel industry is fragmented, managing supply chain is a major challenge. This is why KKday focuses on developing a strong Supply Chain Management (SCM) system that allows all types of suppliers, big or small, to communicate with customers and manage orders without any IT investment. Singapore doctors launch healthcare mobile platform to put patients’ needs at the center of an ecosystem that spans a range of services from cradle to grave – literally. The iOS/Android MaNaDr app can be downloaded free from the Apple App Store & Google Play Store. 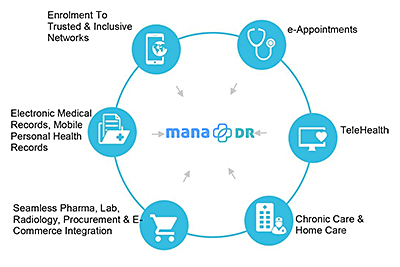 The MaNaDr platform is a holistic healthcare ecosystem that connects patients, families, and friends, to a trusted network of doctors and other healthcare providers. 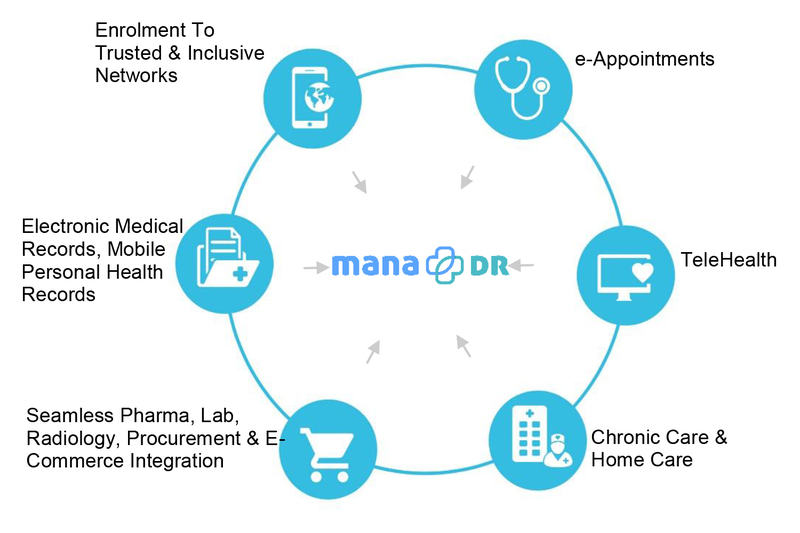 “Besides using the mobile app to make healthcare affordable and more accessible, MaNaDr’s market differentiation is to provide a holistic suite of services at an affordable price, in the most convenient manner possible. Over time, we want to build a whole online community of doctors, patients, and other health and medical related services. Such a community will validate a doctor’s expertise, share patient experience, for example, and recommend the brand and type of medication and other lifestyle products that are effective. This ecosystem will be built on trust, which is a crucial success factor,” said Dr Siaw Tung Yeng, Founder & CEO, MaNaDr Mobile Health. These providers include major pharmaceutical companies and key paramedical service providers such as Amgen, MundiPharma, OmniMed Healthcare (HomeCare), QuestLab etc. 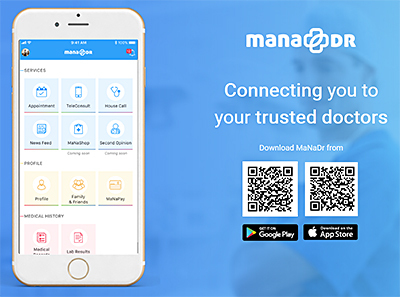 Soft launched slightly more than a year ago, the concept has gained traction with the enrollment of 500 private clinics and 600 doctors (general practitioners, dentists & specialists) in Singapore and Australia serving a million patients through its MaNaDr app. The growing patient database will enable big data analytics that empower doctors to track a patient’s condition to offer pre-emptive and pro-active healthcare. 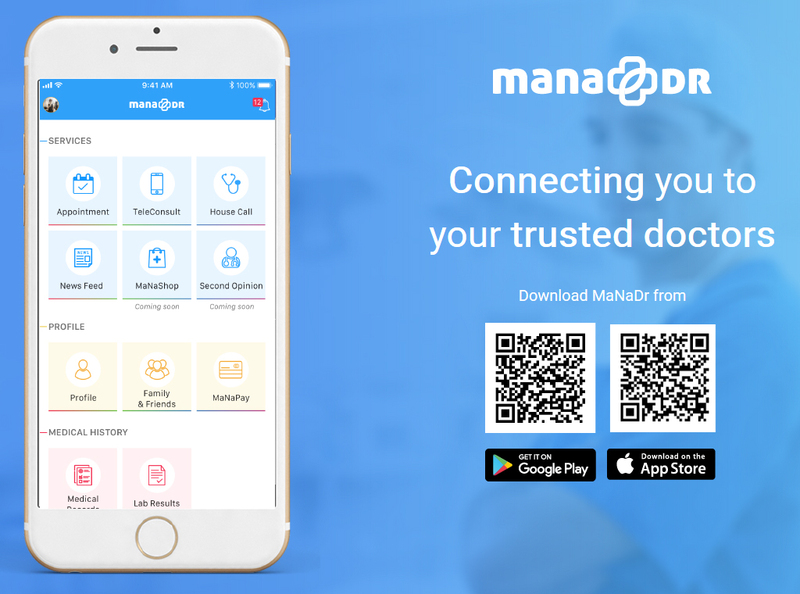 MaNaDr mobile healthcare platform is owned by Mobile Health Pte Ltd (“Mobile Health”), a company set up by a group of Singapore doctors to harness the power of technology to make life-long, healthcare more affordable and accessible to all. MaNaDr has secured over S$10 million seed funding and is in talks with several large funds and investors for Series funding. Research In Motion (RIM) will be giving BlackBerry PlayBook tablets and BlackBerry smartphones as prizes for the startup winning team and participants. Winners will also receive free membership into the BlackBerry Alliance Program, which includes technical and marketing benefits. Echelon 2012 is a two-day, double-track event on 11 and 12 June 2012 at NUS with over 1,100 delegates, and a demo pit of up to 50 regional startups per day and various workshops. It is organised by e27, a media organisation focused on the Asian technology startup community. 2012’s upcoming Satellites – shortlisting sessions for selecting the finalists for the actual event. 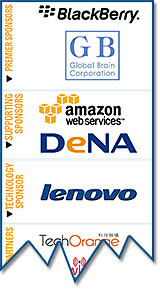 Other sponsors for the event includes Global Brain venture capital, Amazon Web Services, and Lenovo.